Active Spirit – a spirit that is not grounded, has a lighter energy and can visit and interact with humans. Agent – The ghost or spirit seen by someone. Also used to describe the cause of the haunting. Anomaly – An irregular image that appears on photos, video or media. A deviation from the common rule, type, arrangement, or form. Apparition – A spectral image of a person that appears even though a physical body is not present. A ghostly figure. Artefact – False evidence of paranormal phenomena due to some extraneous external influence. Collective Apparition – A type of sighting in which more than one person sees the same apparition or phenomena. Cold Spot – An area that seems to be cooler than the surrounding areas. It is believed that when spirits manifest, they pull energy from around them, and in doing so, cold or warm spots are created. Crisis Apparition – An apparition that is usually seen by a person when they are at the point of death or are the victim of serious illness or injury. They can also be apparitions that are seen in places of traumatic events ( i.e. accident scenes and battlefields). Dematerialize – To lose apparent physical substance. To suddenly disappear in to thin air. Demonic Haunting – A haunting by a non-human entity. Discarnate Entity – A spirit or non-material entity. Often used to refer to the personality of a deceased person. Disembodied Voice – A voice or sound heard or recorded that comes from no physical body or known source. Doppleganger – An exact spirit double or mirror image of a living person. Electronic Voice Phenomenon – Noises and voices which are recorded onto an audio recording device. These sounds and voices are not heard at the time of the recording. (aka EVP). Electromagnetic Field Detector – Also called Gaussmeters or Magnometers, it is a tool used to measure strength of magnetic fields. It is believed spirits/ghosts will cause disturbances in magnetic fields as they draw energy to manifest. Exposure to high electromagnetic fields (bad wiring/fuse box) can also cause symptoms that may mock paranormal experiences, such as hallucinations, paranoia, nausea and headaches. (aka EMF). Entity – A disembodied consciousness commonly referred to as a ghost or spirit. False Awakening – An event in which a person believes they are awake, but are actually sleeping. Fetch – A spectral double of a living person. A doppleganger. Fortean Phenomena – Strange phenomena, especially those that challenge conventional scientific knowledge. They include those that are generally considered paranormal, along with bizarre non-paranormal events such as monsters and extraordinary coincidence. Ghost – The image of a person witnessed after his or her death, reflecting the appearance of the living, physical body but not as substantial. Also defined as the visual manifestation of a soul, spirit, life force or life energy. Haunting – The manifestation of a presence(s) attached to a specific person, item or location. Categorized in four types: Intelligent (responsive), Residual (Non-responsive/replay), Poltergeist (child/teen/mentally ill related) and Demonic (Non-Human). To haunt is to appear in the form of a ghost or other paranormal being. Grounded Spirit – is a spirit that has not passed over into the higher astrals and is stuck in between realms. The energy will be dense and can usually be sensed in your solar plexus. Hot Spot – An area where frequent paranormal activity occurs, such as a haunting. Hallucination – The perception of sounds or sights that are not actually there. Indirect Voice Phenomena – Phenomenon in which an entity appears to speak using the vocal apparatus of a living person (aka IVP). Infestation – Repeated and persistent paranormal phenomena occurrences. Influence – An invisible entity of undetermined nature that affects the inhabitants of a specific locale. Instrumental Trans Communication – The recording of images on video for which there is no known source. This is similar to recording examples of Electronic Voice Phenomenon, except Instrumental Transcommunication involves images rather than sounds. A video camera pointed at a Television screen set to display static is one way of obtaining results for this method (aka ITC). Intelligent Haunting – A haunting in which the apparition or entity is aware of what is going on, and can interact with those around. Luminous Phenomena – The experiencing of strange lights or glows. Lepke – A manifestation that has the appearance of a solid, living person who may even interact or converse with someone, then suddenly vanish. Lucid Dreaming – A dream state in which one is aware that they are dreaming, and are often able to take of control dreams. Materialize – To gain apparent physical substance. To suddenly appear out of thin air. Matrixing – The natural tendency for the human mind to interpret sensory input, what is seen, heard, or felt, into something familiar or more easily understood and accepted. Filling in the blanks by the mind. Mist – A photographed anomaly that appears as a blanket of light or smoke. Orb – A photographed anomaly that most often are particles of dust, moisture, bugs or matrixing. 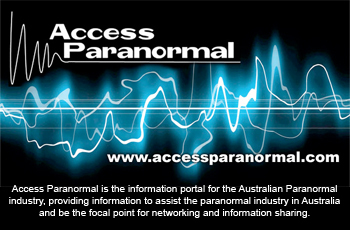 Paranormal – Beyond the range of normal experience or scientific explanation. Above or outside the natural order of things. Phasmophobia – The fear of ghosts. Place Memory – Information about past events that is stored in the physical environment. It is believed that large quartz deposits are capable of this, among other minerals that have dense attributes such as granite or sandstone. Presence – The feeling that an unseen person, spirit, or being is nearby. Psychic Impression – Energy left in an area that can be played back like a recording. Psychic impressions are not interactive. Phantom Lights – The phenomenon of floating lights that cannot be explained by ordinary means. Pareidolia – A psychological phenomenon involving a vague and random stimulus being perceived as significant. Human beings are “hard-wired” from birth to identify the human face. This allows people to use only minimal details to recognize faces from a distance and in poor visibility, but can also lead us to interpret random images or patterns of light and shade as being faces, etc. Common examples include images of animals or faces in clouds, the man in the moon, and hidden messages on records played in reverse. Poltergeist – A non-human entity that translates to “noisy ghost”. They are often associated with and thought to be brought on by children, teenagers, and mentally unstable individuals. Poltergeists are most commonly characterized by loud noises, moving of objects, starting fires and other malevolent behavior. Percipient – A person who sees an apparition or entity. Phantom – Something that is seen, heard or sensed, but has no physical reality. Psychometry – An ability to” view” or sense past or present events by feeling an object associated with it. Reciprocal Apparition – A phenomenon in which both the person and entity are able to see and respond to one another. Revenant – An entity that gives the appearance of being distressed. Residual Haunting – A haunting in which the entity does not seem to be aware of its surroundings and performs the same repetitive act. It often is the reenactment of a tragic event, although it may sometimes be a very mundane act that was repeated often in life. It is generally not considered an actual ghost but some form of energy that remains in a particular location. Residual Energy – this is an energy of a traumatic experience that becomes embedded in the environment and is repeatedly played out over and over under certain environmental circumstances. Rod – A photographed anomaly that theoretically represents a spirit. They appear as a small, cylindrical mass of light or energy on film, and are most often not seen at the time the photo is taken. Most often, they are dust, moisture, bugs or matrixing. Qualitative Method – A research method involving the collection of observations, interviews, reports, case studies, etc. Quantitative Method – A research method involving the collection of statistical analysis and numerical data. Shadow People – Entities that appear black and featureless, usually out of the corner of the eye. Spiritography – Capturing evidence of paranormal entities on film. Subjective Apparition – Hallucinations of apparitions or other phenomena created by the mind. Supernatural – Of or relating to existence outside the natural world. Shade – An entity resembling a once-living human or animal. Spectre – A ghost, apparition, phantom. Spirit – Existence apart from the purely physical. The life force of an organism. Telepathy– An ability to communicate with other humans and other spirit beings with the mind. Thought Form – An apparition produced solely by the human mind. Warm Spot – An area that seems to be warmer than the surrounding areas. It is believed that when spirits manifest, they pull energy from around them, and in doing so, cold or warm spots are created. White Noise – Noise frequencies made by static channels from televisions and radios. Disembodied entities can manifest noises and voices through using the sounds and energy from white noise that can be captured on EVP. Wraith – An apparition of a living person that appears to someone just before that person’s death. Vortex – A manifestation of energy, often associated with Ghosts and Spirits. There are a lot of theories regarding the exact nature of this phenomenon, some believe a vortex to be a gateway to the Spirit world, through which Spirits can travel, while others class them alongside Orbs, as manifestations of Spirits. They can appear as anomalous whirlwind-shaped objects on photographs taken in allegedly haunted locations.